Las Vegas: JAM Audio, makers of the No. 1-selling Bluetooth speaker in the US for the past four years, today announced six audio solutions, further solidifying its commitment to delivering high-quality sound that is affordable. The newest products speak to a range of market sectors and nearly any uses at a variety of price points. The speakers that are launching following three main categories: Amazon Alexa Voice Services, Wi-Fi and Bluetooth. Designed to perfectly compliment any indoor and outdoor space, the portable speaker boasts Amazon Alexa Voice Services Technology, as well as Wi-Fi and Bluetooth for maximum connectivity. The 5.5-pound speaker booms with up to eight hours of playback time, as well as a rugged and durable design that can withstand splashes of water if it is by the pool. The free Jam Wi-Fi app offers users maximum convenience when playing throughout the home. It retails for $249.99 and will be shipping in spring 2017. Ideally suited for any room in the house, the sleek speaker boasts Amazon Alexa Voice Services Technology, as well as Wi-Fi and Bluetooth. Weighing in a nearly three pounds, the speaker can you are your favourite music and receive commands for up to six hours. 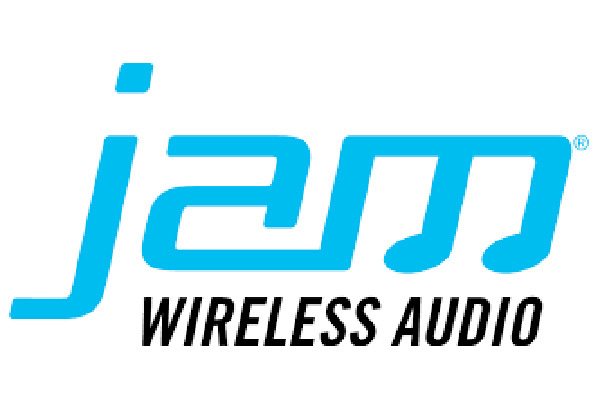 The free Jam Wi-Fi app offers users maximum convenience when playing throughout the home. It retails for $119.99 and will be shipping in spring 2017. The most cost-efficient speaker with Amazon Alexa Voice Services Technology in the lineup, the JAM Voice is the perfect entrant for consumers looking for a great speaker who can take commands. It also features Wi-Fi and Bluetooth. Pairing multiple speakers can give a much fuller stereo sound, or have music in every room in the house. It retails for $59.99 and is currently shipping. This Wi-Fi speaker features 2.1 stereo sound, hi-fidelity tweeters, and powerful bass. Pairing multiple speakers amplifies the listening experience with sound for the entire home. The speaker retails for $169.99 and is currently shipping. The JAM Rhythm Wi-Fi speaker features two 2” full range drivers, 3 1/2” subwoofer and tuned port tube to provide room-filling stereo sound quality. Pairing multiple speakers amplifies the listening experience, and the speaker is able to be arranged in a portrait or landscape position. The speaker retails for $119.99 and is currently shipping. The Unleashed truly wireless ear bud offer users the ultimate in comfort and listening experience as the Bluetooth enables pairing and listening from up to 30 feet away. With big sound in demure package, the Unleashed offers up to three hours of playback and the ability for hands-free calling. The included charging case offers seven full charges and a USB port to act as an external battery back for your devices. It retails for 119.99 and will be shipping in spring 2017. The Transit wireless headphones offer active noise cancellation in a lightweight and comfortable design. The on-ear design has omni-rotational ear cups for comfort and a feeling of full immersion in sound. The headphones also boast hands-free calling for maximum usability, and an aux-in port for users who would like a wired connection. The Bluetooth has a range of up to 30 feet away from the device. The Transit 2.0 retails for $69.99 and will be shipping in spring 2017. The Contour collared ear buds empower users to tune up the comfort while tuning out the distractions. The sweat-resistant design and easy-to-use controls makes them ideal for a variety of athletic activities. With up to eight hours of playback time and active noise cancelling, the Contour will make it easy to lose yourself in any activity. They retail for $79.99 and will be shipping in spring 2017. These collared earbuds offer many of the same features as the Contour, with the added benefit of 10 hours of playtime. They retail for $59.99 and will be shipping in spring 2017.